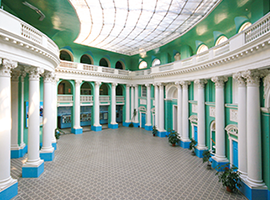 Faculty of Geography of Moscow State University of Education traces its history since 1917. 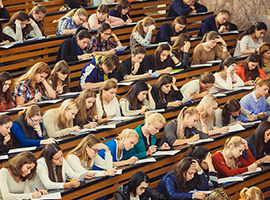 Today The Faculty of Geography is a creative team of people who in accordance with their scientific interests work in five departments: Geology and Geochemistry of landscape, Physical geography and Geoecology, economic and social geography, theory and methods of teaching geography, foreign languages. Within the practice (beyond teaching) students of geographical faculty of Moscow State University of Education travel to various regions of Russian Federation, from Kaliningrad to the Far East: they had time to visit the arms factory, nuclear plants and many other interesting plants. Geography is closely connected with tourism and hotel business, many of those who graduated from the Faculty, choose this path of professional development. The Dean of Faculty of Geography. Associate Professor. The Сandidate of Geographical Sciences. Head of the Department of Geology and Geochemistry landscape. The Candidate of Geographical Sciences. Associate Professor. Deputy Dean on scientific work. Associate Professor. Candidate of Biological Sciences. Deputy Dean of the correspondence Department. 41.03.01 Foreign regional studies. Profile – European studies. 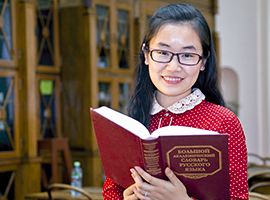 part-time course of study, period of study – 5 years. 05.03.02 Geography. Profile — General geography. 44.03.05 Pedagogical education. Profiles — Geography and Foreign language. full-time course of study, period of study – 5 years. 44.03.05 Pedagogical Education. Profiles — Geography and Biology. 44.03.01 Pedagogical Education. Profile – Geography. 44.04.01 Pedagogical education. Profile — Children’s and youth`s tourism. 44.04.01 Pedagogical education. Profile — Technology of geographic education. 44.04.01 Pedagogical education. Profile — Ethno-cultural education.